AWAY degreaser will replace a shelf or two of cleaning products in your garage. It works as a bug & tar remover, a wheel cleaner, a tire cleaner and an engine degreaser. 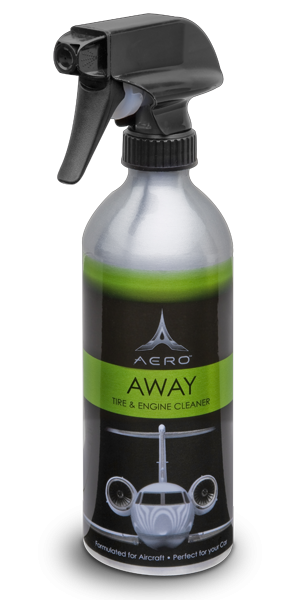 AWAY cleaner is powerful enough to cut through grease on engines and baked-on brake dust… even on roughcast aluminum wheels. Tar, sap, and bugs will break down in just a matter of seconds.